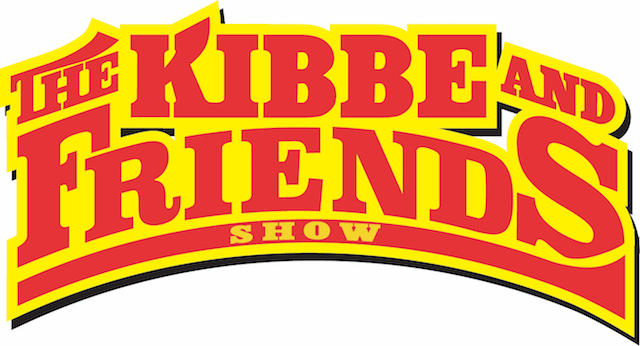 Welcome to the official Kibbe and Friends Show with myself, Justin “Corndog” Cornette, and Show Producer Bernie McPartland! With this show we’re basically setting up the Boars Nets for the entire automotive media world to swing through for a couple watered down beers, stale popcorn, and fantastic waitresses. You can find every episode here on The MuscleCar Place as well as iTunes, Stitcher, iHeart Radio, and Google Plan. From time to time we’ll also be posting video clips and (and even) full shows to The MusceCar Place YouTube channel. If you click the “Download” link at the top of this post you’ll be able to stream it on your phone directly. You can also pull the RSS feed as well. FOLLOW US ON Instagram and Facebook too! MeUndies are back! Thank God, They’re back. And they’re back for the most underwear centric holiday known to exist to man: Valentine’s Day! That’s right, this is the one time of year she’s planning on you to buy her undies. So go for it and get her the ones you want her to have. And, they’ll be releasing new Valentine’s Day prints between now and the heartfelt holiday every Tuesday too. That means you and your loved one can chill in matching prints for V-Day and play the game of “how long can we keep these on?” The loser is usually the winner. 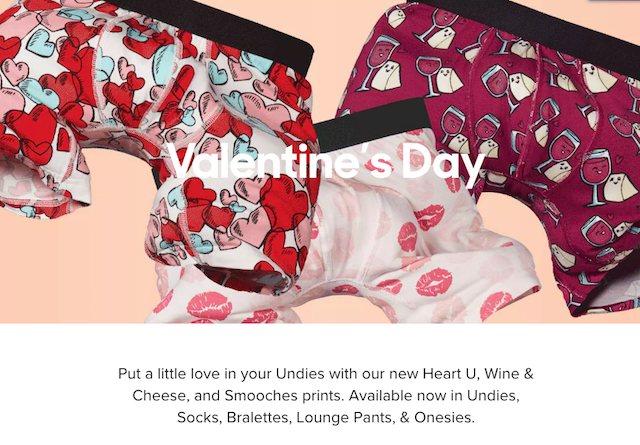 😉 To get 15% off your first pair, free shipping, AND their 100% Satisfaction Guarantee and get the best and softest underwear you will ever own, go to MeUndies.com/kafs! 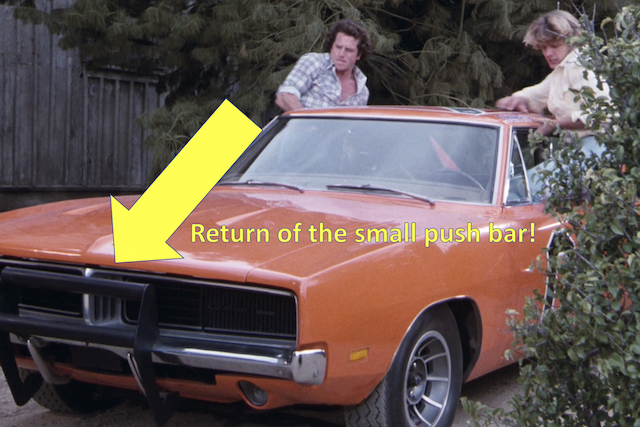 So, the main plot line in this episode is that Hughie Hoog is back to d bad things, but what you really need to know is that this episode marks the return of the small pushbar General Lee! And…after this episode it will disappear again. This episode was aired out of order from filming, thus the hullaballoo. Anyway, here’s the show summary: Master of disguise Hughie Hogg is back, with a scheme to help Uncle Boss take over Cooter’s garage to build his long dreamed of Hoggominimiums. The only problem? He has to force Cooter to default on his second mortgage payment so that he can immediately foreclose. The deviousness of it all. And Cooter – being the only mechanic in town – is rolling in work opportunity. So Boss gets Hughie to trick Cooter into jail, thereby leaving the Dukes to solve all the problems and right the wrongs. Hughie does the whole thing using multiple disguises and a class C motorhome with a Dodge running gear of course, and a bees nest is involved at the end. Bees make honey, and honey is something Bears like to eat. Bears, Beets, Battlestar Galactica. The KF Show is on Patreon. The KF Show on Patreon Is Sweet! Patreon Peeps, our January swag pack is on the way! If you updated your address after Christmas, we got it and it’s on the way. if you missed it, add it in and we’ll catch you about St Patty’s Day. We’ll also be recording our next show soon too sp get your questions ready for Kibbe, Corndog, and Bernie. Again, thank you so much to the multitude of you who have joined in, stepped up your pledge, and have (basically) made it known that you wanted us to keep going and growing. 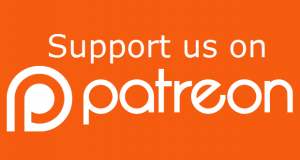 We’re still in, and it’s our goal to make Patreon the place in 2019 far more than ever before. To get in on the action and support the show with a minor financial contribution just click the link below to sign up and get started! We have $2, $5 , and $10 monthly options available. You ROCK!